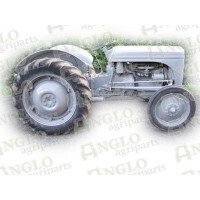 Ferguson tractor parts UK & replacement spares. 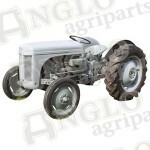 Anglo Agriparts specialise in replacement parts for your Fergie TE20, TEA20, TED20, TEF20, FE35 & more. We stock thousands of parts including: piston rings, engine parts, radiators, hydraulic pumps, starter motors, gaskets, steering, gears, clutch, and PTO shafts. 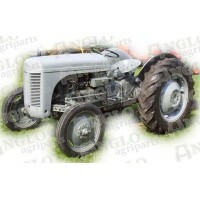 Buy aftermarket Ferguson spares and tractor accessories from our full Ferguson parts catalogue. The TE20 designed by Harry Ferguson was his most successful design. 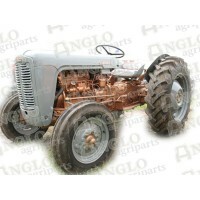 The old grey Fergie TE20 was produced from 1946-1956. 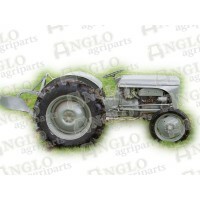 Shop online and buy tractor parts by searching with an OEM part number or clicking on your Ferguson model and selecting a category from our parts list including: brakes, clutch, electrics, engine parts, axle & steering, fuel components, hydraulics, linkage and transmission. With many Ferguson models still in existence demand for spares is strong. 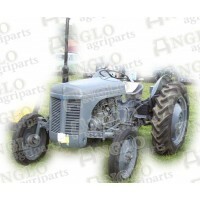 Shop for Ferguson TE20 parts, Ferguson spares and tractor parts with Anglo including TEA20, TED20, TEF20, FE35. Read about contributor Lewis MaqcDonald's TE20 restoration here. The TE20 is one of of customers most love models; 'Share your Repair' for a free Anglo gift. Buy Quality replacement parts Ferguson parts including piston rings, engine kits, radiators, hydraulic pumps, starter motors, gaskets, bearings, fuel pumps, water pumps & more. UK Next day delivery. We export to Eire, Ireland and worldwide.